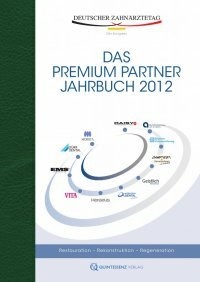 98 Perfektion durch Kommunikation und Innovation 22. Kerstein RB, Radke J. A comparison of fabrication precision and mechanical reliability of 2 zirconia implant abut- ments. Int J Oral Maxillofac Implants 2008;23(6):1029-36. 23. Fuster-Torres MA, Albalat-Estela S, Alcaniz-Raya M, Penarrocha-Diago M. CAD / CAM dental systems in implant dentistry: update. Med Oral Patol Oral Cir Bucal 2009;14(3):E141-5. 24. Apicella D, Veltri M, Chieffi N, et al. Implant adaptation of stock abutments versus CAD/CAM abutments: A radio- graphic and scanning electron microscopy study. Annali di Stomatologia 2010;1(3-4):9-13. 25. Sumi T, Braian M, Shimada N, et al. Characteristics of implant-CAD/CAM abutment connections of two different internal connection systems. Journal of Oral Rehabilitation 2011;E-pub: 19 dec 2011. 26. Ganz SD, Desai N, Weiner S. Marginal integrity of direct and indirect castings for implant abutments. Int J Oral Maxillofac Implants 2006;21(4):593-9. 27. Bergstresser J. Implant abutment tissue strategies. Journal of DentalTechnology 2009;August/ September:34-36.